Last year was probably big J's toughest school year so far. Everything he had worked for throughout his entire school years came down to his GCSE examinations. He was so nervous and although he was prepared he kept thinking he hadn't done enough, which then got us thinking had we done enough as his parents. 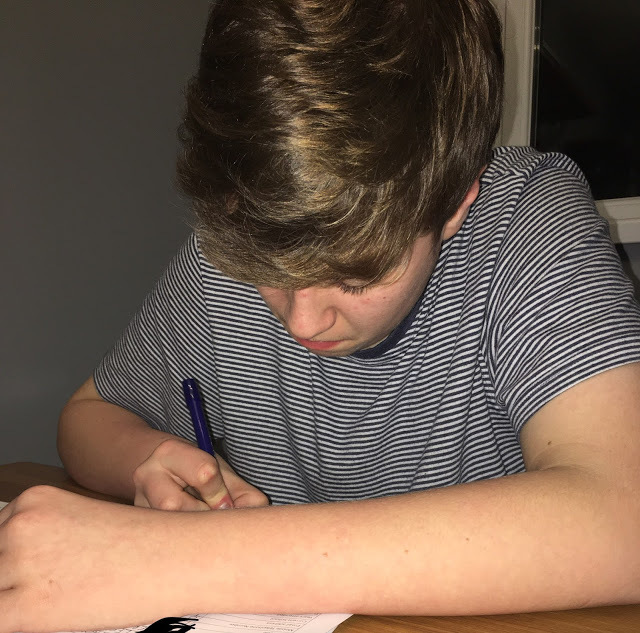 You don’t have to be a mathlete or a science whizz to help your teen with their exam revision there are other things you can do to take the pressure off them a little bit. I have teamed up with Mount House School, a Sixth Form in Hertfordshire, who offer the following advice for helping teenagers with their exam revision. On the school run this morning there were lots of children all dressed up going to school to celebrate world book day. All looking lovely and cute dressed as their favourite characters or whatever their parents could rustle up the night before.